It has been hugely awaited smartphone since the first rumours hit the internet that Nokia 9 will be coming very soon. In September, the upcoming flagship of Nokia is said to be spotted on a Canadian certification website. It hints at a possible launch which is said to be during the next month. The all new Nokia 9 may be the world’s first smartphone which will feature a Penta lens camera system at the rear. As per the new renders of the Nokia 9, it will be getting a dual curved display. The Quansong Technology has obtained the images that are leaked about the Nokia 9. It has revealed that the Nokia 9 will be getting a dual curved display which is similar to the Samsung flagship smartphones. 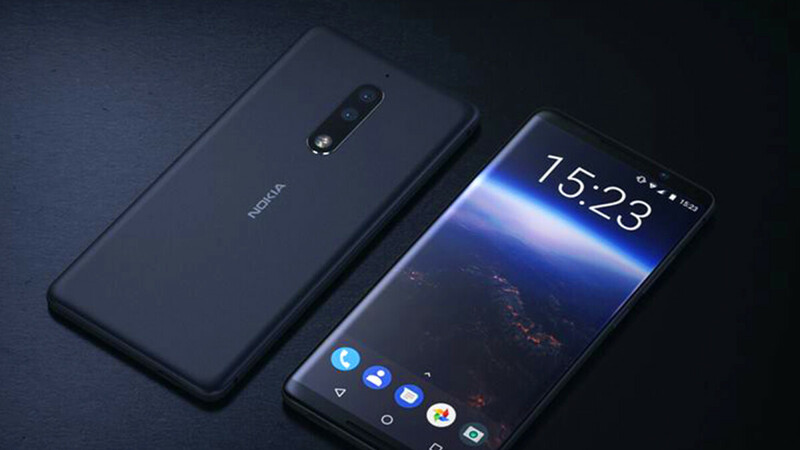 This can also be the top as well as bottom bezels of the Nokia 9 which are relatively larger as compared with some of the 2018 flagship Android smartphones. This means that the upcoming Nokia flagships will not have the high to screen to body ratio like other phones. It has been said that there is a slight improvement when they are compared with the Nokia 8 Sirocco. This will also sport a dual curved display. The curved edges that are present on the Nokia 9 appear to be more pronounced when they are compared with the company’s current flagship smartphone. Apart from this, the dual curved design of the new images seems to be confirming that Nokia 9 will not be having 3.5mm headphone jack. If you want to use the USB Type-C with a 3.5 mm headphone jack adapter, then it will be bundled in the box which will become with the handset. Nokia 9 is said to get powered by the Qualcomm octa-core Snapdragon 845 chipset which was clocked at up to 2.8 GHz with an Adreno 630 GPU. There are some rumours which suggest that the smartphone will be coming up along with the 5.9 inch OLED display which features Quad HD+ resolution as well as an in-display fingerprint sensor. When it comes to the camera, it will have a five-lens camera system at the back. The Nokia has got a triple rear camera setup that includes a 41 MP primary camera with OIS, wide angle lens with dual aperture. The 20 MP telephoto lens along with the 9.7 MP monochrome sensor. It can offer a 41 MP camera.